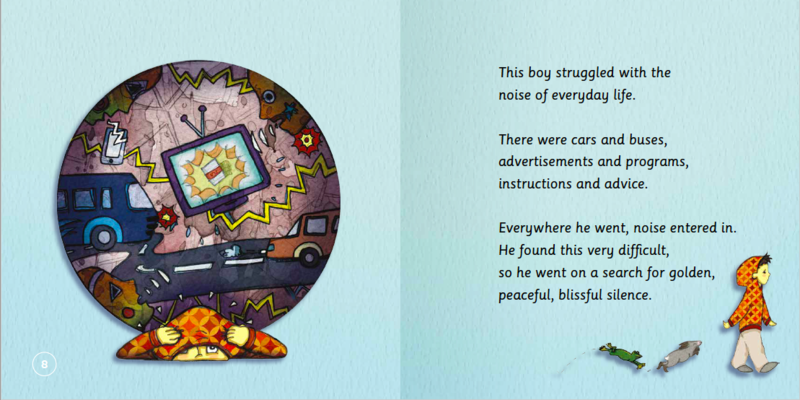 Products / THE BOY WHO SEARCHED FOR SILENCE, Helping young children find silence within themselves. 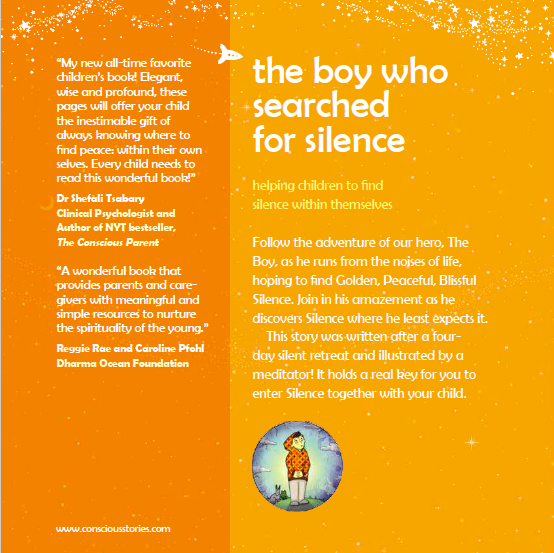 THE BOY WHO SEARCHED FOR SILENCE, Helping young children find silence within themselves. 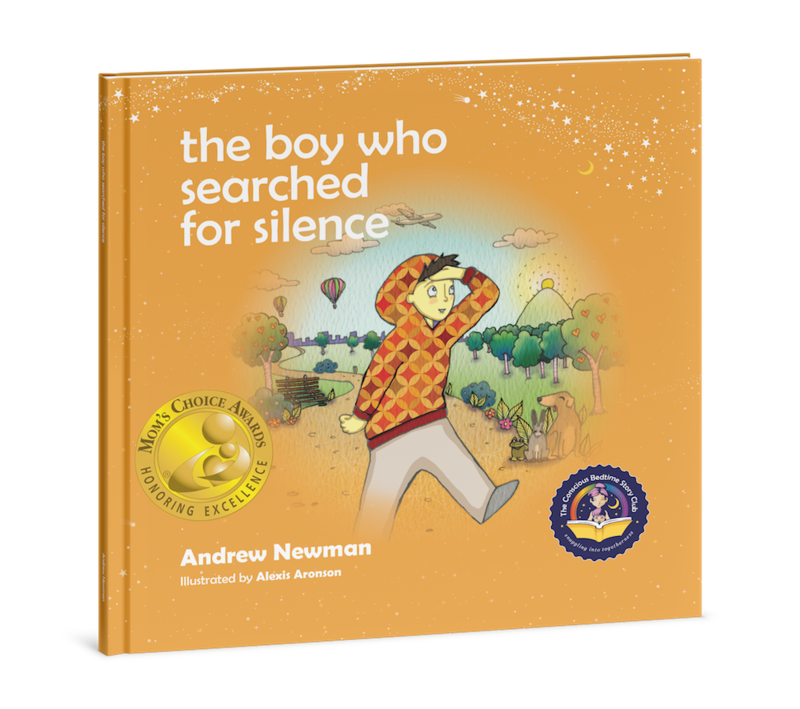 Follow the adventure of our hero, The Boy, as he runs from the noises of life, hoping to find Golden, Peaceful, Blissful Silence. 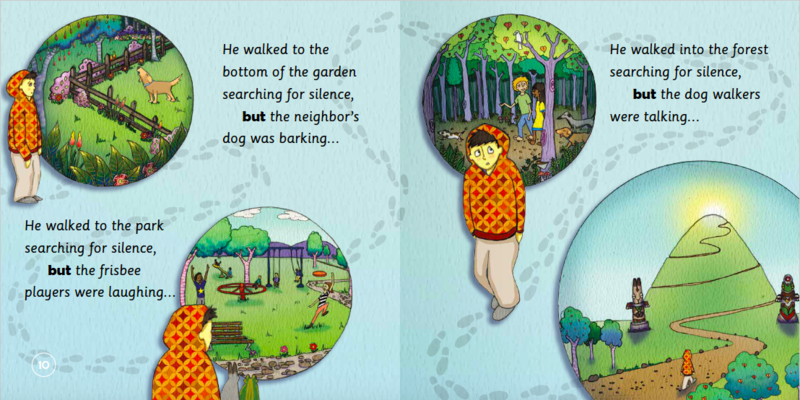 Join in his amazement as he discovers Silence where he least expects it. 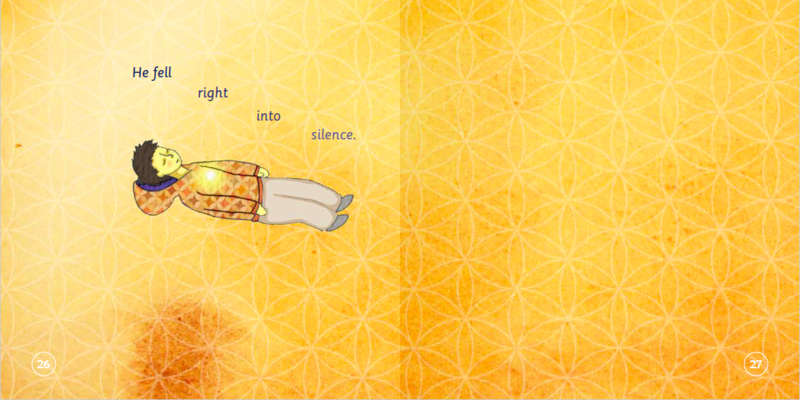 This one-of-a-kind book will help children to use meditation and gratitude to help with the stress and constant stimulation of the outside world. 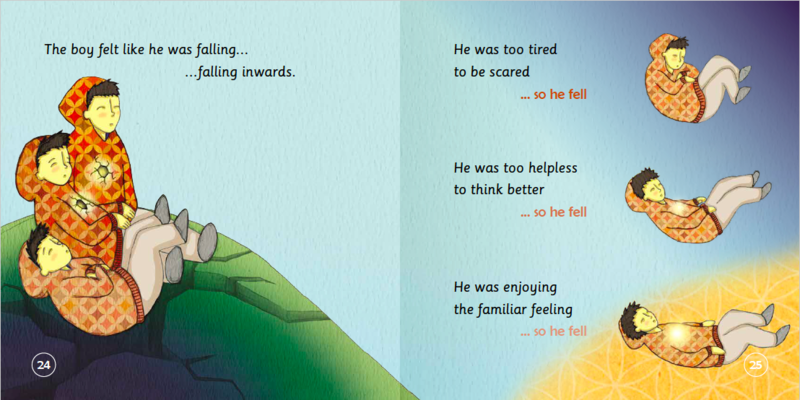 The book ends with The Gratitude Spiral, a short exercise to help children to raise their awareness of help children change their perspective and also to relax and sleep. 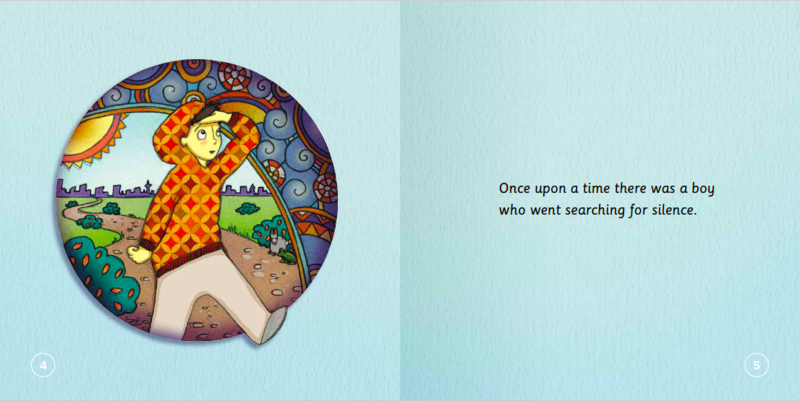 "My new all-time favorite children's book! 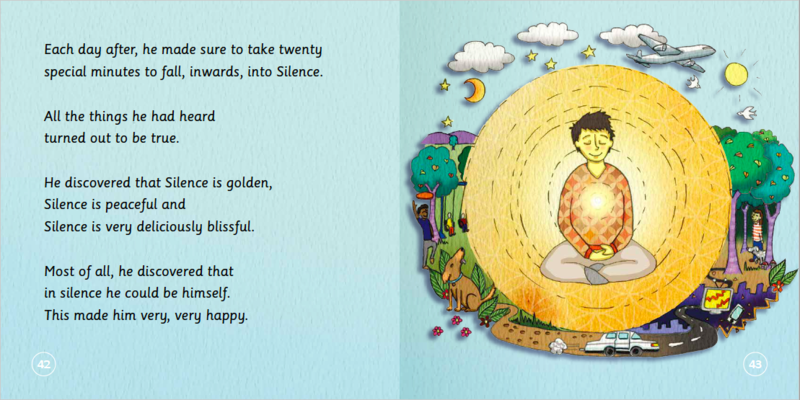 Elegant, wise and profound, these pages will offer your child the inestimable gift of always knowing where to find peace: within their own selves. Every child needs to read this wonderful book! " 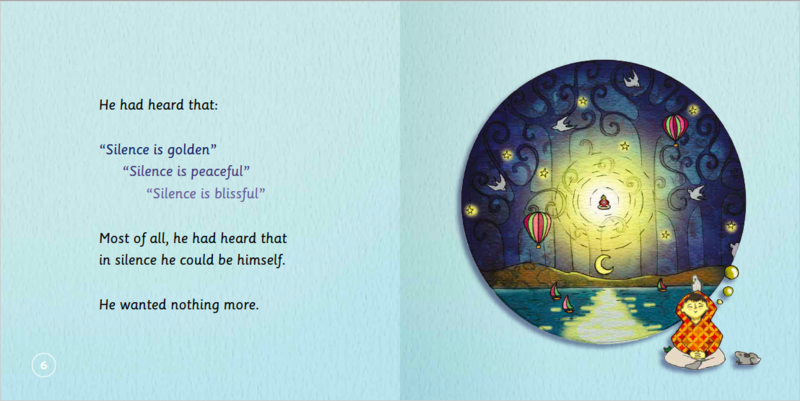 “A wonderful book that provides parents and care-givers with meaningful and simple resources to nurture the natural spirituality of the young." Reggie Ray and Caroline Pfohl. Co-lineage holders of Dharma Ocean.